So ok! Tropical storm Ofel, internationally named Son-Tinh, did not really pack a lot in terms of a punch and had – when it crossed just to the south of the island of Mindoro yesterday – something like maximum sustained winds of 85 kph near the centre and gusts of up to 100 kph. Technically, it was not even a typhoon and was – in weatherman parlance – only a severe tropical storm. But Mindoro is close enough in nautical terms to Batangas; and Ofel had a middle-sized rain circulation of about 500 kilometres. That was why yesterday afternoon until night-time, it rained and rained and rained. It was by no means hard rain; and we have all seen worse. It was just incessant, pattering on the roof like forever! The winds when the eye of the storm passed closest by around midday were not all that scary. 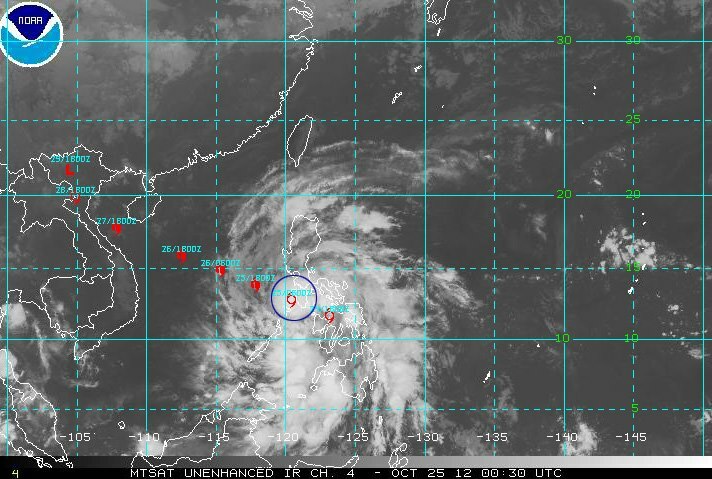 What was bothersome were the trailing rains as the storm exited into the Western Philippine Sea. They just kept pouring until late in the night. Because of Lipa’s natural elevation, whatever flooding does occur is always reasonably fleeting and all it really takes is for the rains to stop. Water itself will do the rest. Fortunately, the power came back on in the evening. On social media, I was seeing posts about floods in certain areas of Lipa and that people were stranded because public vehicles were reluctant to traverse the waters. That corner in front of Narkabowl has been known for sometime to be particularly flood prone. Last night, however, I was seeing posts reporting that even the front of De La Salle Lipa and the Shell gas station along Barangay Tambô were also inundated with knee-deep waters. I also received a text message saying that parts of Antipolo del Sur were in the same predicament. This, I was told, was not usual for the area. Of course, people’s reactions on these reports on social media were mostly surprise – based on the knowledge that Lipa is roughly a thousand feet above sea level. In low-lying places like Metro Manila and Central Luzon, floods and stranded passengers are a common enough occurrence which people have simply learned to live and cope with every rainy season. 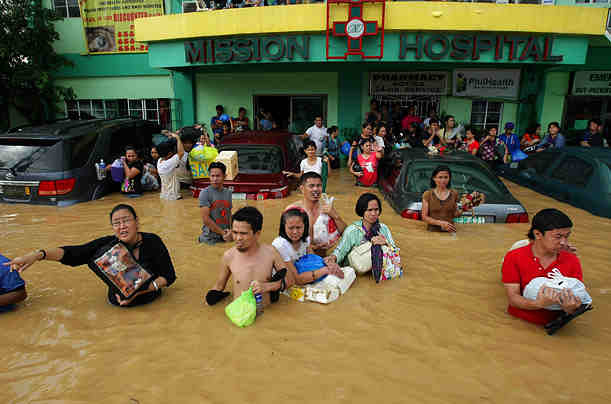 In Lipa, of course, floods are rare and are, therefore, still considered a major inconvenience. Because they are rare, that is also why they are remarkable. Floods are, however, not at all an unknown thing in the city and its suburbs. That stretch of road just past the corner leading to Mataas-na-Kahoy into Barangay San Vicente as well as the front of the elementary school used to be quite prone. Underground culverts have seemingly solved the problem. The floods occur, of course, in natural water catchments created by the contour of the land. For instance, the road in front of Narkabowl gets water from the city centre – which is higher ground – and Barangays Paninsingin and San Carlos. Water by its very nature will always seek lower ground. However, when the volume being poured is more than what natural and man-made drainage can divert into lower ground, then that is when floods occur. As I write this, the sun is making half-hearted attempts to shine. There are still grey clouds overhead; but a check of the satellite photos shows that these are no more than the remaining tail of Ofel as it makes its way across the sea into Northern Vietnam. The floods have expectedly receded, which is why it is such a blessing to be living in this city. Try comparing this to certain localities in Laguna, for instance, where the poor people have to wait months for the land to appear from underneath the floodwaters. Satellite photo from the NOAA Satellite and Information Service.